VIDEO: What is Estate Planning and Why Should You Do It Now? Estate planning has become my favorite part of my practice. You may be thinking, Ugh, I don’t want to think about my death. Push pause on that one. Hit the snooze button. Well, no. Don’t. The time to get this done is actually now. There are subjects rarely taught in schools that indeed, shape our future as we venture into the “real world.” “Credit 101” isn’t covered in our educational system and in the end, albeit an ugly truth, credit has the potential to define our lives. It certainly costs more money to have no or bad credit than to maneuver through your financial world with good credit. I thought I would break it down just a bit so – so the mystery is dispelled. 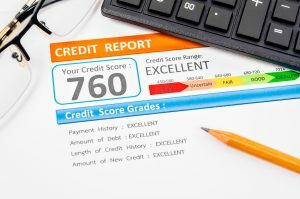 Here are some credit basics you should know. Hospitals do not let people show up and do medical procedures on their kids. If you are closing on a house, your mortgage company will not let you do your own title search; you have to hire a title insurance company to do it. You cannot drive a car or own certain weapons without training and a license. On May 11, 2018, I attended a seminar on Modern Legal Representation. The AMAZING news is that Andersen Law PC has been practicing these techniques from the day we opened our doors, and I used many of these practices for years before opening the firm. A few attorneys are trying these techniques of late. Few if any have been doing all of them as long and as consistently as I have. I think we have modern representation down to a science and know how to make it work for our clients at Andersen Law PC. After years of doing this type of practice, what seems new and different to other attorneys is actually familiar, routine and downright comfortable for us. We know what works, what does not work, and how to use modern representation techniques to best benefit you. For unbundled representation and some of the types of representation below, the retainer is a lot smaller than you would think. When you got married, you probably never imagined a sheriff’s deputy showing up at your door to serve you with divorce papers. Unfortunately, that’s often what happens. And now that it’s happened to you, you probably want to know what to do next. If you need to know what to do when your spouse files for divorce in Colorado, here’s how to get started. At Andersen Law PC, we know the divorce process can be confusing, especially if you go it alone without an attorney. But we are here to help, whether you want support for specific steps or you want us to represent you through your entire case. Whichever option you choose, it’s important to clearly understand steps of the process to always know what to expect. You need to stay organized, and prepare and receive necessary documents at the right times. That’s why we’ve created the following document tracking chart that you can print off and fill in as you go through the divorce process in Colorado. So you made the big decision to file for divorce. Or maybe the decision was forced on you because your marriage has become intolerable — it’s no longer a “real” marriage. What now? It can feel overwhelming to even figure out how to begin the divorce process. But we can help. If you want to file for divorce in Colorado without an attorney, here are the first three steps to get started. At Andersen Law PC, we work with clients to help reduce the stress and uncertainty of the divorce process. The latest resource we’ve created to do that is our divorce process flowchart, which breaks the process down into its basic parts.